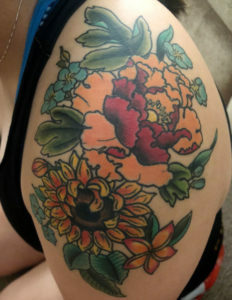 I am happy to share a recap about my daughter’s tattoo in this post; Insights: Cultural Mix Update. First, I must thank a very talented local tattoo artist, Katherine Smith, who took my vision for my daughter’s tattoo and made it into a reality. I mentioned previously that things may need to be re-align, omitted, or changed and that my design concept will be used only as a frame of reference for the tattoo artist. The completed tattoo is unique and highlights Katherine’s talent and artistic flair in her own way! 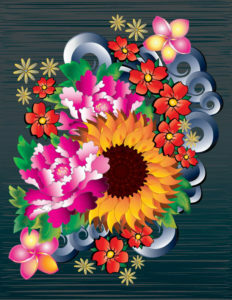 If you want to know more about Katherine Smith, check out her portfolio page. She is very easy to work with and gives her opinions on what will work and what will not work in a respectful manner. I highly recommend Katherine if you are planning on getting a tattoo in the near future. 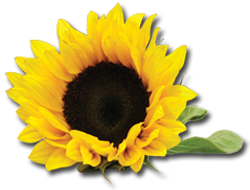 She is very well-known and respected in the tattoo industry and is often booked way in advance. She travels to many tattoo expos and is reserved prior to attending. Here is some information and a few photos to show the tattoo process to the completion. 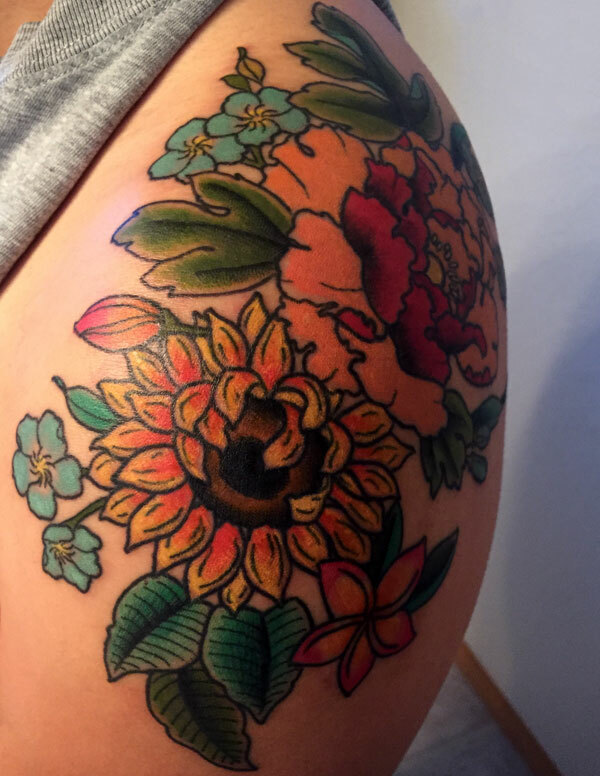 My daughter and I met with Katherine before the first tattoo session to collaborate on the artistic vision, inquire about pricing, a rough estimate on how long it would take to complete, care of the tattoo, and to address any other concerns. I would recommend an in-person meeting before you begin the process. Katherine is prepping my daughter’s tattoo area and instructing her on the proper care of the tattoo. The tattoo stencil is laid out for a proper fit. Katherine adjusts the design and makes any corrections or alternations before beginning the outline process. Outlining process is completed. 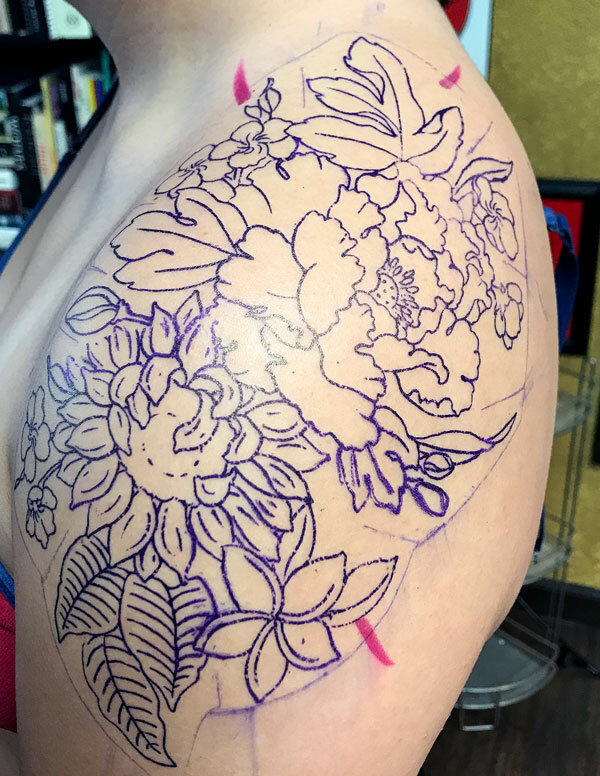 At this point, my daughter needs to wait for about 5 weeks for the outlining to heal before proceeding to shading and ink coloring of the tattoo. 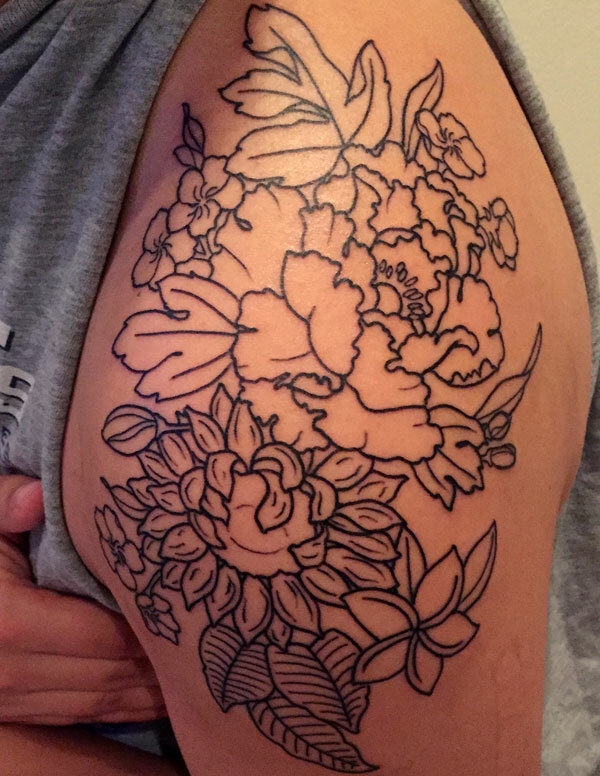 An additional session is needed to complete the shading and ink coloring of the tattoo. Here is a side by side comparison of the final design concept and the completed tattoo. I can’t even explain how exciting it is to see your design concept transformed into another form of artistic expression. It is truly a beautiful thing! The bonus is that my daughter’s completed tattoo blends a cultural mix of her parents’ heritage. She will carry that honor with her throughout her lifetime. If you want to know more about the tattoo design concept, please read the previous post; Insights: Cultural Mix for more of a complete understanding of the design concept and a larger view of the final design concept.